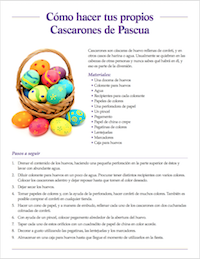 Get these Carnaval and Semana Santa classroom activities and culture unit! 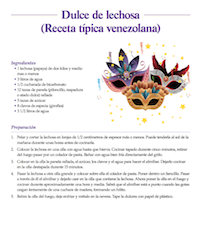 Carnaval and Semana Santa Classroom Activities…This valuable cultural resource explores the rich history and celebrations of Carnaval and Semana Santa through a variety of classroom activities that are dynamic, engaging, embedded with high frequency vocabulary and grammar concepts and super easy for you to implement in your classes! 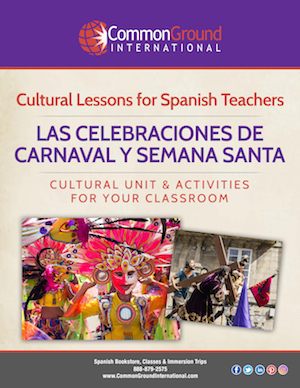 Carnaval and Semana Santa present ripe opportunities to teach about culture in the classroom, however finding time to integrate culture and stay on track with your curriculum can be tricky. This is an easy-to-implement culture unit. All lesson plans and activities are included for you! You can pick one activity to implement in just one class OR several over a 3-5 day period. These lessons help you bring to life these festive traditions in your classes. Student will not only learn about the rich cultural traditions, but also they are imbedded with high frequency vocabulary activities and grammar through hand’s on, dynamic classroom activities. You will also be ale to re-enact these traditions in your classroom with the templates provided. In the process of participating in these literacy and hand’s on activities, students will experience these unique cultural celebrations. 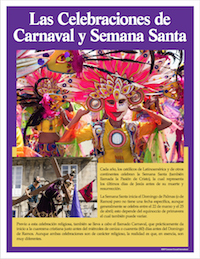 Download your Semana Santa / Carnaval Cultural Unit and Activities TODAY! 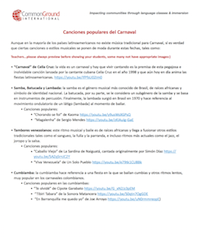 Carnaval and Semana Santa classroom activities for Spanish teachers – use these lesson plans and hand’s on activities to teach about Carnaval and Semana Santa through music, arts and crafts, cooking and history. Re-enact these traditions with these easy to implement templates. 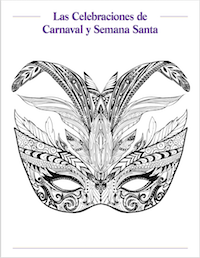 An authentic cultural article exploring the biggest and most famous Carnaval and Semana Santa celebrations in the Spanish speaking world. This article also touches on the history, traditions, gastronomy from each holiday. 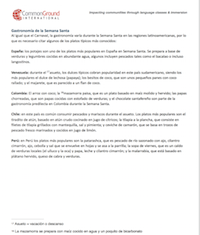 For a sneak peak of the types of activities for this cultural lesson, check out the free Semana Santa and Carnaval giveaways. Thank you! This is another activity rich in culture! I haven't used it yet but know it is going to be a hit! Keep up the good work! This is yet another great resources from Common Ground International. I am always appreciative of the resources that you create and are willing to share. Thank You! This lesson will be one of my favorites. Thank you, I love this lesson.